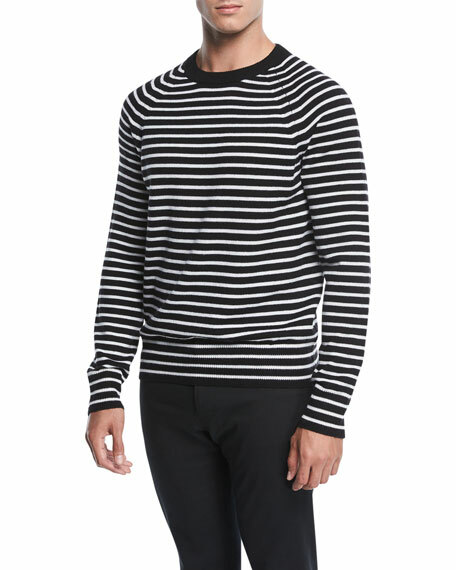 For in-store inquiries, use sku #2398231. Etoile Isabel Marant "Cabrio" denim jeans. 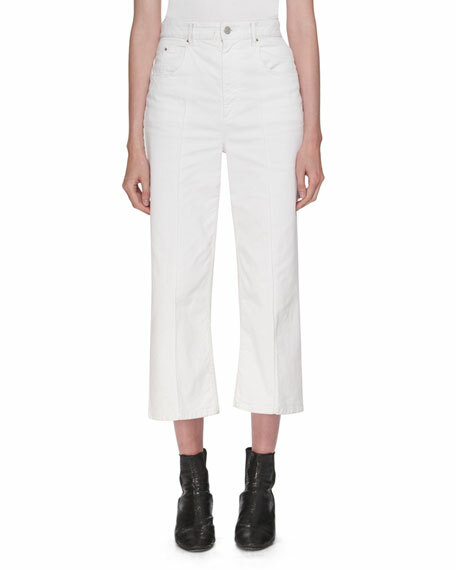 High-waist; belt loops. Button-zip fly. Five-pocket style. Relaxed fit. Wide legs. Ankle-length. Cotton. Imported. 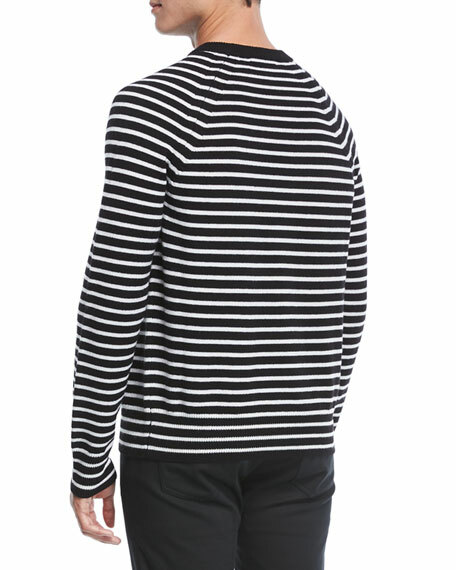 Monse sweater in two-tone stripes with asymmetric inverted seam detail. Turtleneck. Long sleeves. Fitted. Hem hits below hips. Pullover style. Virgin wool. Imported. 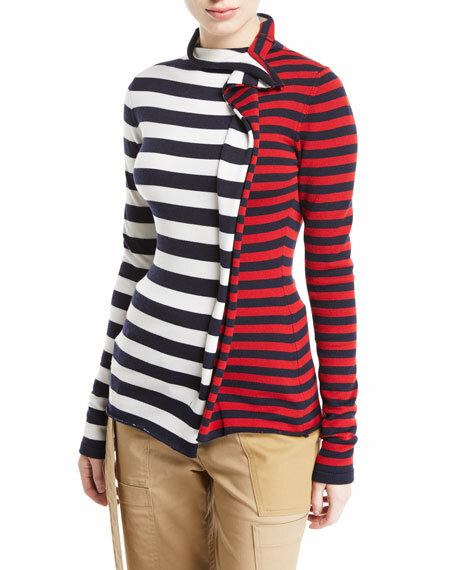 Model's measurements: Height 5'10"/177cm, bust 32"/81cm, waist 24.5"/62cm, hips 36"/91cm, dress size US 2/4. 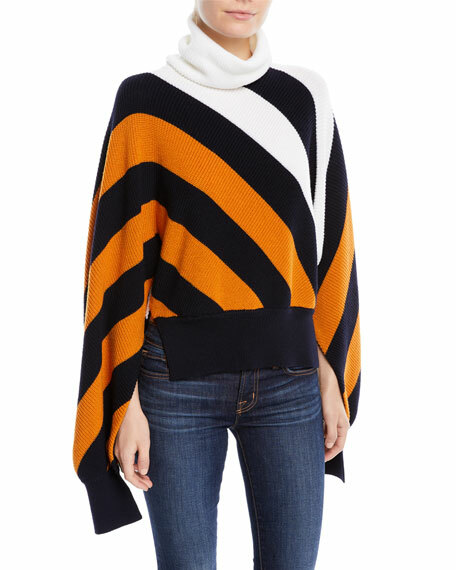 Monse diagonal-stripe wool sweater. Long, slit sleeves for cape effect. Turtle neckline. Relaxed fit. Pullover style. Made in USA of Italian materials. 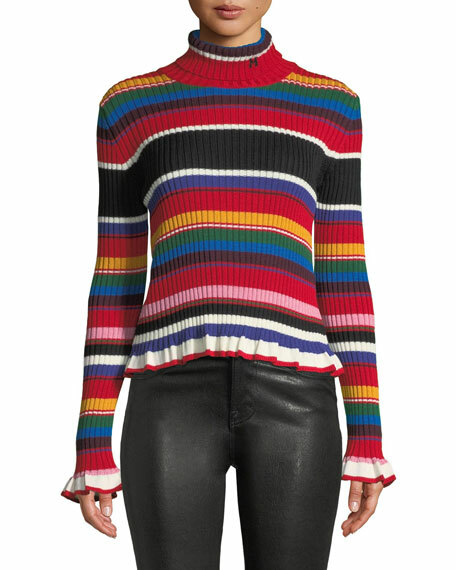 MSGM striped sweater in wool-blend. Turtleneck; logo graphic. Long sleeves. Fitted silhouette. Flounce hem. Pullover style. Wool/acrylic. Made in Italy.